We’re not the only ones with smart salmon solutions. This week, F&W salmon sleuth Justin Chapple revealed the easiest way to poach perfect salmon in the latest edition of our Mad Genius Tips video series. But we’re not the only ones with salmon solutions. One of Thomas Keller’s signature dishes at both The French Laundry and Per Se is his smoked salmon cornet (a tuile shaped into a tiny cone topped with crème fraîche and fresh salmon). It's a brilliant way to kick off his super-lux tasting menu, but the dish isn't very easy to make at home. 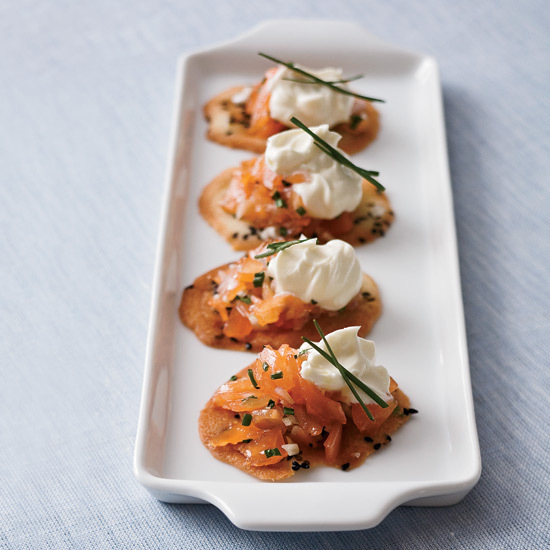 So Keller came up with a hack: Instead of shaping the tuiles into cones, he leaves them flat, like crackers, and tops them with store-bought salmon and crème fraîche. Get the full recipe here.